The Organizing Committee (OC) oversees the production of the conference. The local hosts, who this year are Associate Professor Lee Baumgartner and Dr Matthew Gordos, serve as the co-chairs of the OC. Duties of the OC include, but are not limited to, making the final decisions on abstract acceptance, selecting plenary speakers, and carrying out solicitation of sponsors. Lee has lived and breathed fish passage research for over 18 years and has worked in government, universities and private industry. His research has been in several broad areas, including fish passage and fish migration, dietary interactions among native fish species, the impact of human disturbance on aquatic ecosystems and, more recently, mitigating hydropower impacts on tropical rivers in South East Asia. Dr Baumgartner’s work has also focused on developing innovative methods for assessment (such as the adaptation of sonar technology to migration studies) and improving existing fish collection techniques. Much of his work is applied and has fed back into adaptive management strategies which have resulted in state and national policy fish passage development. Lee presently manages over $3M in research projects and has active global collaborations. Matt built his first rock dam at the age of five across a small central Pennsylvanian stream. Since then, he’s spent the past 14 years atoning for his errant youth by assisting with the research, design, construction, operation, maintenance, and monitoring of fish passage outcomes in NSW that include technical and natural fishways, dam removals, and road crossing remediation. 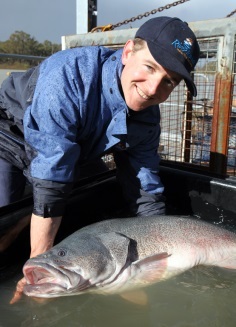 Matt presently manages the NSW Fish Passage Program which has resulted in over 500 barriers being remediated, thereby improving fish access to over 16,000 km of waterway. Matt’s current emphasis is working collaboratively with key stakeholders to develop a coordinated, state-wide strategy to fish passage remediation in NSW for the next 20 years. Luiz is a freshwater fisheries researcher currently based at Charles Sturt University, CSU Australia, and Professor at the Federal University of São João del-Rei, UFSJ Brazil. With over 17 years of experience his research projects are highly applied and focused on mitigation measures and impacts of water infrastructure on fish, mainly hydropower dams. He has led and completed various studies, contributing significantly to the understanding of fish passage efficiency for tropical regions. His applied research led to the development of strong links with the hydropower industry giving him a prestigious place on the International Energy Agency Fish and Hydropower Annexe committee (Annex XIII). He has been granted an esteemed national award by the Brazilian industry for the outcomes of his work on the downstream passage of fish through hydropower plants. Heleena has been bridging the challenging divide between policy/management and science for over 14 years. Although starting out in the world of invasive species policy and management, her endeavours in the last 5 years now focus on native species – achieving outcomes for native fish through water reform and the implementation of the Basin Plan for the Murray-Darling Basin. 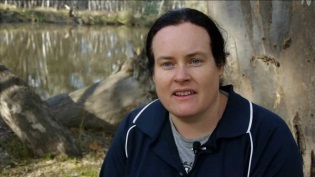 She has a particular interest in integrated basin scale water planning and management to meet the needs of native fish populations whose lifecycle processes operate over landscape scales. The science of fish, flows and connectivity is the key to effective policy and management outcomes in this sphere. And the Murray-Darling Basin has been a great case study that marrying environmental flows and fish passage can be a match made in heaven for native fish. 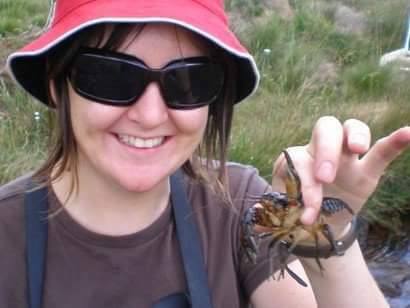 Katie has over 12 years’ experience in the world of freshwater ecology, with a variety of experience ranging from research on fish and crayfish movement and assessment of fishway effectiveness, to public policy and program management. She has worked in both State and Commonwealth government agencies managing projects that aim to improve native fish management. Katie is currently focussed on monitoring and evaluation in relation to the outcomes of the Murray-Darling Basin Plan. Martin has been a specialist fishway biologist for 30 years and has designed over 200 fishways in Australia and overseas, from fish locks and fish lifts on large dams to low-level pool-type and nature-like fishways. These projects have included working with all tiers of government - national, state and local – as well as NGOs and engineering consortia; at sites in Australia, New Zealand, Papua New Guinea, China, Bangladesh and the Mekong. He has presented his work in popular articles, refereed journals, workshops, conferences and presented a keynote address at Fish Passage 2015 at Groningen. Tim is a fisheries biologist who specialises in the provision of fish passage at man-made barriers to fish migration, working in the areas of barrier identification and prioritisation, fishway design and construction and fish community and fishway monitoring. 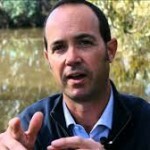 Tim has been designing and implementing fisheries related projects throughout Australia and SE Asia for over 26 years. He has overseen the successful construction of hundreds of fishways, from small nature-like fishways to large dam fish locks. Tim has also undertaken numerous fish community and fishway monitoring projects as well as implementing a wide range of fisheries habitat improvement projects. Tim is also an innovator in fish passage, leading the field of fish passage science in Australia through the development of new fish passage designs and innovative solutions to fish passage problems. These skills have been well recognised in Australia and overseas. 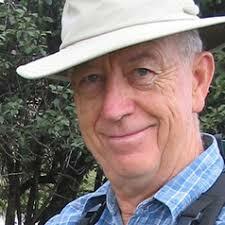 John is a consultant in fisheries science and river ecology and Adjunct Associate Professor, UNSW Australia. 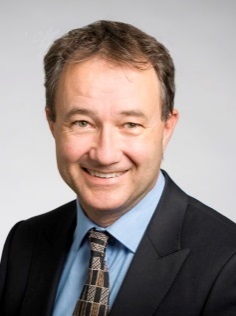 Previously Principal Fisheries Scientist at NSW Fisheries Research Institute; Program Leader, Cooperative Research Centre For Freshwater Ecology; Independent Scientist for Murray-Darling Basin Commission and Auditor, Sustainable Rivers Audit, he has led research on environmental flows, cold-water pollution, alien species, fish passage, river-health assessments and threatened species, and is currently involved in developing fishways technology. 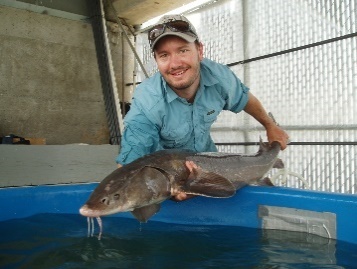 Jason is a freshwater fish ecologist with over 12 years experience focussing on fish movement, migration, reproductive behaviour and fishway effectiveness monitoring. I have published over 10 peer-reviewed papers that focus on various aspects of fishways including biological effectiveness monitoring, energetics, physiology and hydrodynamics. The majority of my research was conducted in North America and I have presented findings at numerous national and international conferences including the 1st Fish Passage conference at UMASS in 2011. My current research program at DPI Fisheries is focussed on the abiotic drivers of fish movement, spawning and recruitment, with a strong focus on riverine connectivity. 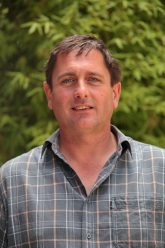 Brenton is a senior research scientist at the South Australian Research and Development Institute (SARDI - Aquatic Sciences) and has been conducting fish ecology research throughout south-eastern Australia for the past 20 years. He has published widely on the ecology of freshwater, diadromous and estuarine fishes, with a particular emphasis on utilising research to inform the ecological rehabilitation of regulated rivers. 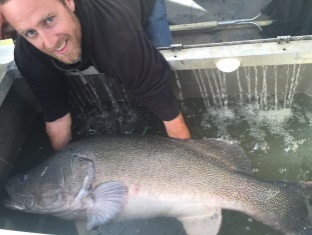 Brenton’s research has encompassed fish passage design and the evaluation of fishways in freshwater and estuarine ecosystems, at fishways ranging from nature-like rock bypasses to engineered fish locks. Brenton was a foundation member of the tri-state research team that informed the Murray-Darling Basin (MDB) Hume to Sea fish passage program, a ten year, >$50 million, fish passage restoration project that involved the design and assessment of over 20 new fishways on the weirs and estuarine barrages along 2000 km of the River Murray. 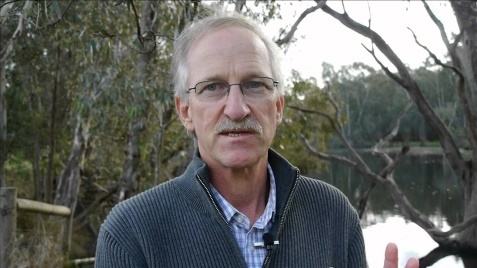 Brenton is also a member of numerous State and National working and advisory groups, including the MDB Fish Passage Task Force, the Murray Cod Fishery Management Group, Victorian Environmental Flows Monitoring and Assessment Program (VEFMAP) Technical Advisory Group, MDBA Environmental Water Knowledge Requirements (EWKR) fish leadership group and South Australia’s River Murray Operations Working Group. Chris is a fish biologist at the South Australian Research and Development Institute (SARDI – Aquatic Sciences), and has been conducting research on the freshwater, diadromous and estuarine fishes of south-eastern Australia for the past 12 years. This has included a particular focus on threatened species ecology, the response of fishes to changing flow regimes, fish movement, and fish passage, particularly fishway effectiveness monitoring. Chris regularly provides technical advice to state and federal environmental managers on fish movement requirements and the application of fishways, and has a particular interest in the improvement of fish passage at estuarine barriers. He has published several papers and reports, and presented at national and international conferences on topics of fish movement and passage. 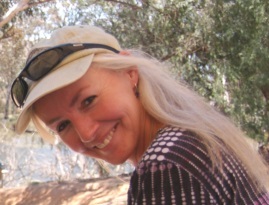 Pam is an ecologist with 30 years’ experience working primarily within State government on a broad range of natural resource management issues, including threatened species, invasive species, threatening processes and habitat restoration. Pam has worked in both aquatic and terrestrial environments. She has a wide experience in project management and coordination, communication and education, policy development and research. 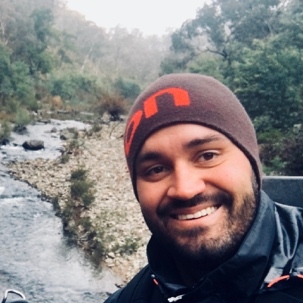 Justin O’Connor is an aquatic biologist specialising in the ecology of freshwater fish working in the Applied Aquatic Ecology Group, Arthur Rylah Institute for Environmental Research. 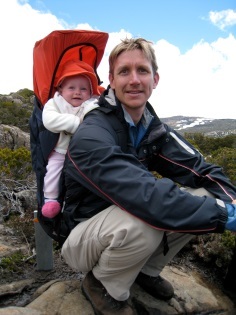 Justin has 25 years’ experience in research, assessment and conservation of freshwater ecosystems. 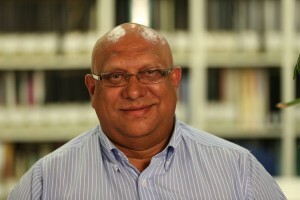 His particular interests are in fish movement, flow requirements of threatened fish species, and connectivity in aquatic systems. Steven is Principal Water Resources Engineer at Jacobs. Based in Adelaide, Steven has 25 years of engineering design experience gained in Australia and abroad. Steven specialises in the designs of riverine infrastructure, including weirs and fishways. Steven has designed over twenty fishways in the Murray Darling Basin, including vertical slot, Denil, fish lock and rock ramp type fishways, including fishways at Mildura Weir and Euston Weir on the River Murray. Steven is currently investigating the use of biological modelling of vertical slot fishways to develop and optimise fishway designs.